Trees here are now in full bloom or coming into it. And it's exactly the right time for mason bees to become active. 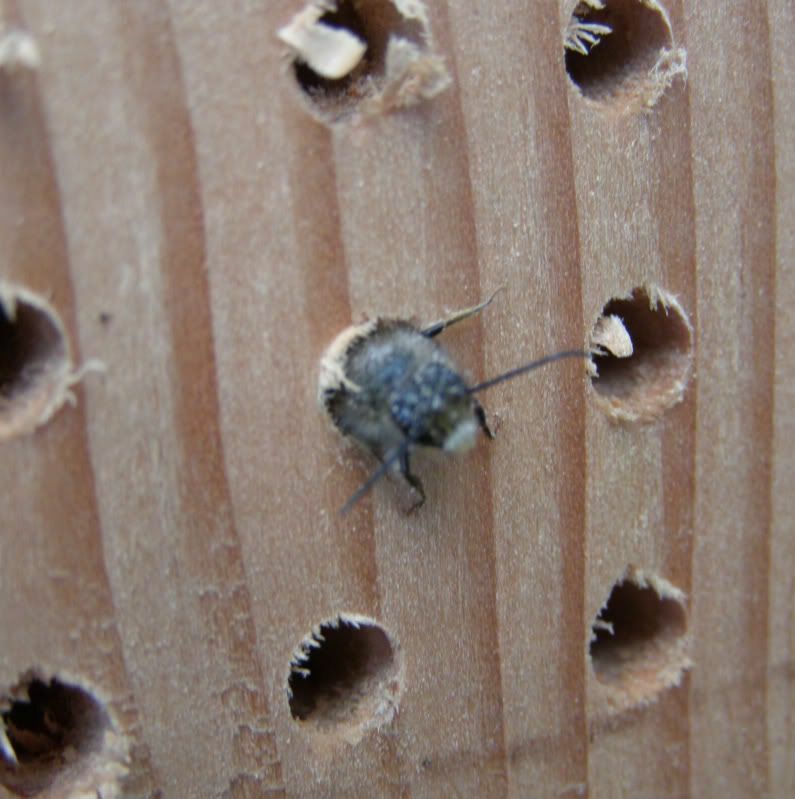 Earlier today a few Mason Bees started emerging from the one I had bought from Knox Cellars Native Pollinators last year. 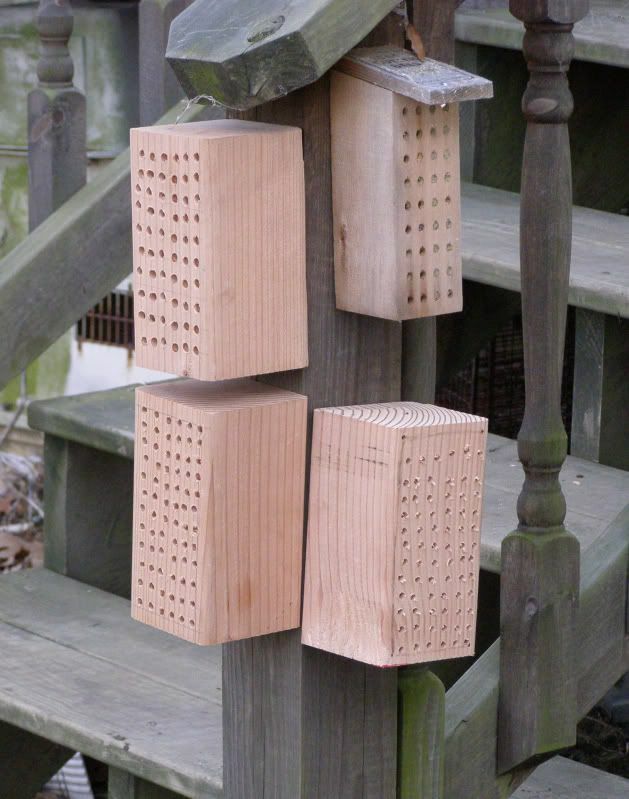 Upon arrival I realized these wooden nesting blocks are easy enough to make. Turns out the bees like mine just as good. These are ideal pollinators for backyard fruit trees. And I happen to have a Nectarine tree within 10 feet of their nesting blocks. It is about to come into bloom and I look forward to seeing if they work it. They should be active for another 6 weeks or so. 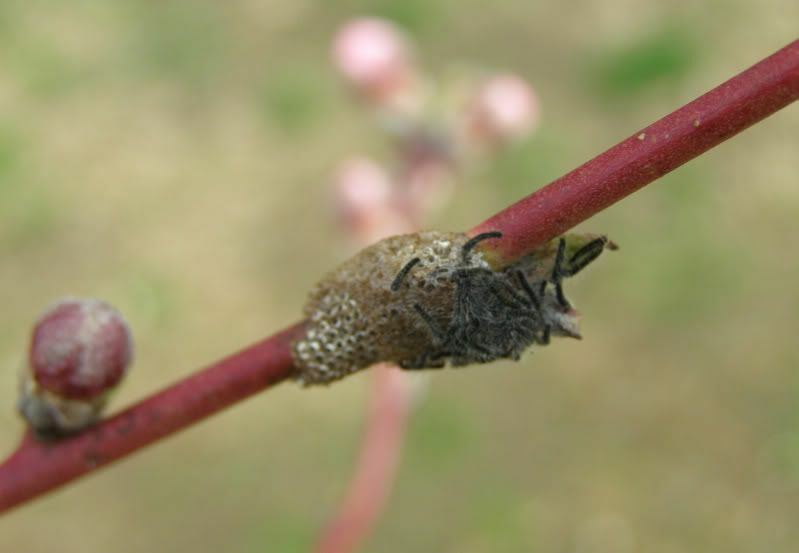 The egg sack on the Nectarine tree has also split open. And tiny caterpillars have started pouring out of the thing. I'm curious to see how much damage they can do. I justafy this by saying if I get just 12 Nectarines from the tree in two years or so then it was worth paying the $15 for the tree. Still, I noticed they have a liking for the flower petals and if they do to much damage I may remove them.